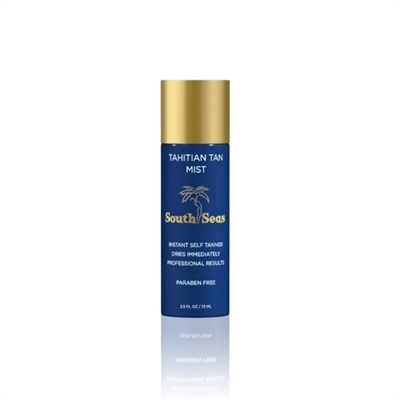 Capture the essence of the South Pacific with South Seas Tahitian Tan Mist. Our lightweight, quick-drying formula has been scientifically developed to give you a gorgeous mahogany glow with ease. While Vitamin C, Vitamin E and Cranberry Seed Extract retain moisture, Copper and Caffeine combine to firm and tighten your skin revealing a young, healthy, hydrated look. Coconut Scent. Paraben-free. Size: 2.5 oz.